The boarded-up windows are now part of the decor! 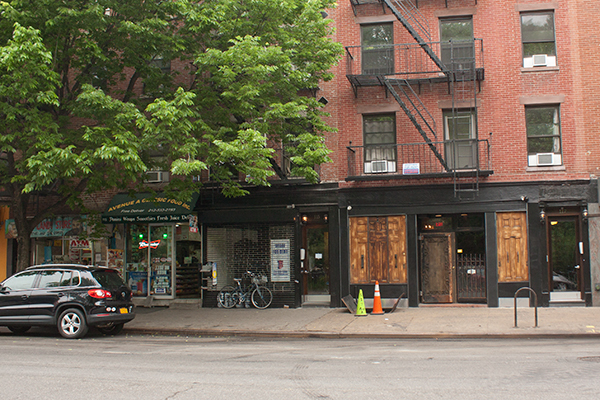 From real slum to faux slum… that's the East Village Today! what did they do - just moved the plywood from one storefront to another? No, they added some fancy hardware too — check out the hinges next time you pass! okay, i am going over right now. it's a nice day, almost lunch, why not!